American Carpet One Floor & Home in Honolulu, HI is here to take the stress out of finding a new carpet for your home. Our flooring professionals are trained in all aspects of carpeting, which means you can rest assured that we can help you start to finish with your project. Carpet is well known for its soft, stylish, and comfortable qualities. Adding carpet to your home not only adds comfort, but also style. Choose from carpets that feature traditional styling or carpets that are on trend. In our showroom we use a unique system known as the Select-A-Floor system. Our unique system helps you to narrow down your carpet options based on your lifestyle and warranty level. Our carpet selection covers a wide range of lifestyles from homes with pets or households that often entertain guests. We are here to make your carpet buying experience a good one. Since carpet is made to be durable and lived on, it is very easy to clean and care for. Carpet is traditionally installed in bedrooms and living rooms. They can handle a lot more activity though and can be installed in children’s playrooms, on staircases, and in hallways. We offer carpets that are resistant to staining, wear, and fade. Those types of carpets can be installed in heavily trafficked areas like hallways and staircases. Be sure to stop in our showroom to see our full collection of carpets. Carpet is made from fibers, and those fibers can have a large impact on how a carpet can look, feel, and perform in your home. Synthetic carpet fibers include nylon, polyester, triexta, and olefin. These fibers are made to be durable and some even feature incredible built in stain resistance. Wool carpets have their own special benefits like being sound absorbing and also are hypoallergenic by trapping dust until it can be vacuumed up. Piles are the fibers twisted up, which plays a role in the styling of the carpet. There are cut piles, loop piles, and even cut and loop piles. 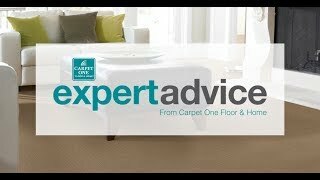 The most important decision you have is choosing the right carpet type for your home. There are five main types: level loop, patterned, textured, frieze, and plush. Just like any other flooring, carpet features some pretty awesome benefits. Some carpets are great for homes with allergy problems where the dust and dirt stay on the surface of the fiber so it can be easily vacuumed and stay out of your breathing zone. We also offer stain-resistant carpets that make your life so much easier when the accidental spill happens. We offer our own exclusive carpet brands that feature H2O™ technology which makes them entirely waterproof. At American Carpet One Floor & Home, we are proud to be your neighborhood experts when it comes to carpet. As part of our selection of carpet brands, we have Carpet One Floor & Home exclusives such as Relax, it’s… Lees, Tigressá, Resista Soft Style and Innovia Xtreme Clean. Be sure to drop by our showroom in Honolulu, HI to see our entire collection. We also have Karastan. Carpet styles are an attribute of carpet fibers and piles. The type of fiber and pile you choose can determine the style of the carpet you want. Follow the link below to learn more about carpet styles. Installing carpet in your home is a significant investment, so it’s important to keep them clean so they look newer for longer. Follow the link below to learn more about our professional cleaning services.